Our mission is to help build and affirm healthy and strong marriages which are centered around Christ and our Catholic Faith. 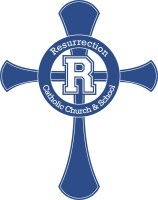 This program is offered to any and all married couples at Resurrection Catholic Church and School who value the importance of their marriages. What can Married 4 Life do for my marriage? Discuss issues pertinent to married couples, with a key focus on centering marriages around Christ and our Catholic Faith. Meet four times per year (one off-site marriage retreat weekend per year, plus three other meetings throughout the year). 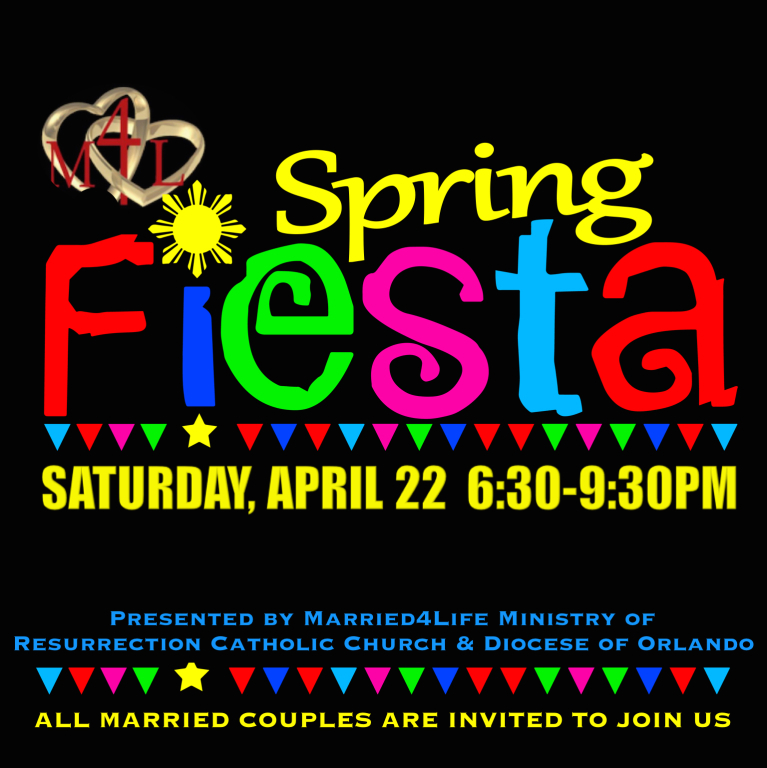 Married 4 Life invites you for a Spring Fiesta date night dinner event and short program at the Resurrection Parish Hall. The evening will feature a catered dinner, special beverages, and a short program on How to Keep My Marriage Forever Spring. Tickets are $35 per couple. All married couples are welcome! "Oh to be fully known and loved still!” There is so much truth to unpack from that simple statement from our speakers, Steve and Debbie Wilson! Understanding our Heavenly Father's heart for you can empower you to take care of your family in ways you could never accomplish on your own. 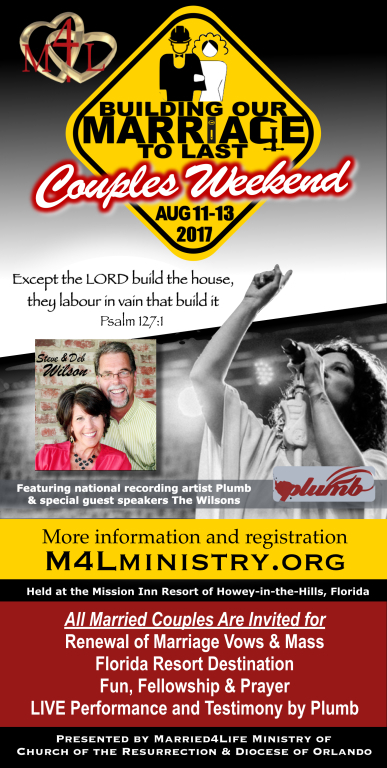 Come here the 'rest of the story' at the Married 4 Life Couple's Weekend Marriage Retreat Summer Treat August 11-13, 2017! 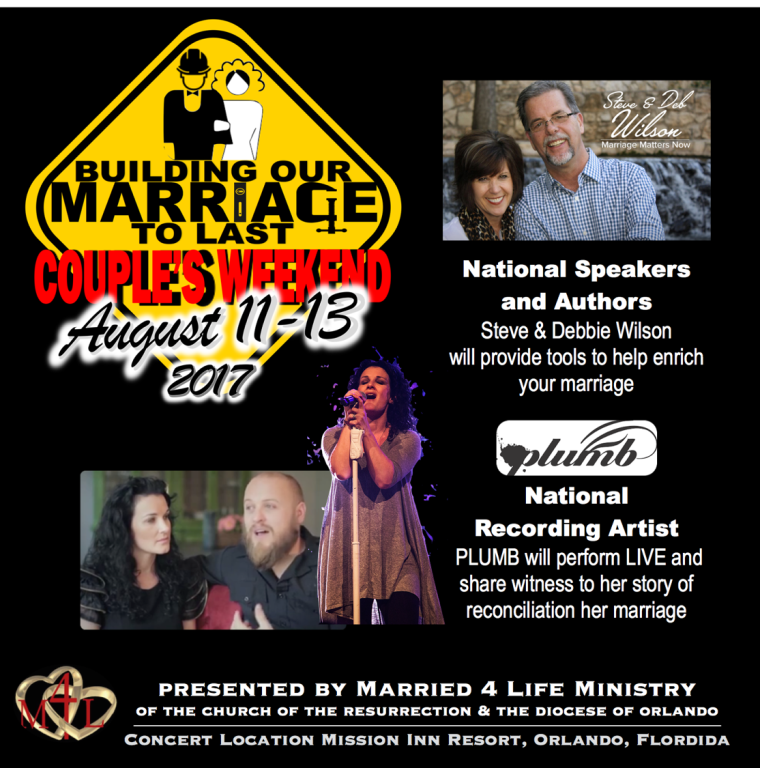 Come catch a glimpse of His plans for your home at the M4L Couple's Weekend 2017 at Mission Inn Resort Orlando, Florida. Visit M4Lministry.org for more information. Check-in & Fellowship 6:00-7:00 p.m.
Pre-show by The Wilsons 7:00-8:00 p.m. Morning Prayer & Program 8:00-11:45 a.m. Lunch on your own 11:45-1:00 p.m. Couple Time/Dinner On Your Own 4:00-7:30 p.m.
Evening Prayer, Mass & Vow Renewal 7:30 p.m.
Dessert, Music & Dancing 8:30-11:00 p.m. Morning Prayer & Presentations 8:30-11:45 a.m.
As the spectacular rolling countryside unfolds to the west of Orlando, Florida, a true resort destination is revealed. Mission Inn Resort & Club emerges, a golfer's paradise of 36 holes that is touched by history and blessed with natural beauty. A most enchanting place distinguished by enduring traditions of excellence and hospitality with award-winning recreation. Mission Inn is a secluded oasis that welcomes guests with the grace and hospitality of a plush private estate. Copyright (c) 2014 Catholic News Service/USCCB. All rights reserved. This material may not be published, broadcast, rewritten or otherwise distributed. Very Rev. Charles Viviano, V.F.